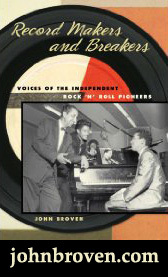 Luther Dixon came up singing doo-wop on the streets of New York, but soon realized that the real money was being made by the songwriters and publishers that populated The Brill Building and 1650 Broadway, just north of Times Square. 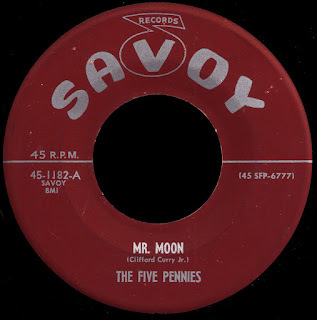 He became a fixture at both places, and by 1959 his songs had been recorded by people like Pat Boone, Perry Como, Bobby Darin and even Elvis Presley. The one that put him over the top, though, was Sixteen Candles, the teenage anthem that The Crests would take to #2 on the Pop charts that year. Wally Roker introduced him to Florence Greenberg, Roker's boss at Scepter Records, in the elevator at 1650 Broadway, and she offered him the chance to work with her fledgling girl group, The Shirelles. 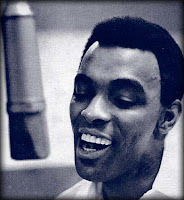 Before long, Luther was the head of production and A&R at the label, and his involvement with Greenberg had taken a romantic turn (their relationship, way ahead of its time for the early sixties, has recently become the subject of an off-off-Broadway musical). Dixon's brilliant production of Carole King and Gerry Goffin's Will You Love Me Tomorrow, helped take The Shirelles all the way to number one in late 1960, and put both them, and Greenberg's label, firmly on the map. His own composition, Boys, appeared on the B Side of that record, securing his Ludix publishing a fair share of the 'mechanicals' (and bringing, I'm sure, a big smile to his face when The Beatles included it on their first album a couple of years later). 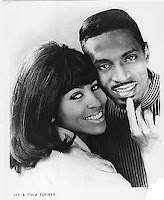 Luther would go on to write, and produce, some of The Shirelles' most enduring hits, like Mama Said, Baby It's You (which he co-wrote with Burt Bacharach and Mack David), and the timeless Soldier Boy, written with the woman he loved, Florence Greenberg. 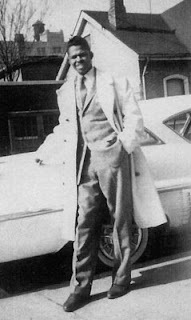 Dixon heard the young Chuck Jackson singing as part of Jackie Wilson's show at The Apollo, and was simply amazed. 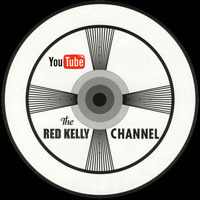 He offered to sign him, and create a new subsidiary label that he would have the inaugural release on. 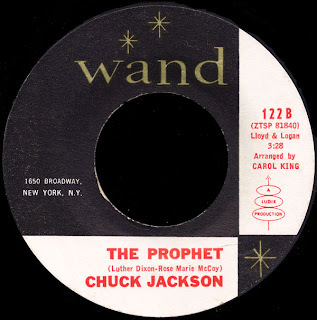 The song that Luther and Jackson wrote together, I Don't Want To Cry, would become the first Wand 45, climbing to #5 R&B in early 1961. Jackson's (and Wand's) biggest hit would come the following year when the Bacharach penned Any Day Now (My Wild Beautiful Bird) would spend four months on the charts, including three weeks in the #2 slot (only held from number one by the mighty I Can't Stop Loving You). The Prophet, co-written by Dixon and another successful black New York songwriter, Rose Marie McCoy, was the flip of that monster hit and shows, I think, the depth of Luther's talents. Pretty heady stuff for 1962, 'Carol' King's string arrangement is almost psychedelic. By 1963, Dixon's love affair with Greenberg had run its course, and he signed on with Capitol Records, who had offered him the chance to run his own subsidiary label, Ludix. Though not for lack of trying, Luther was unable to replicate the chart success he had been having with Scepter/Wand, and Ludix soon folded. 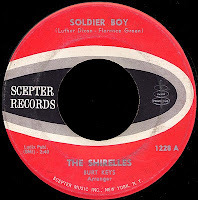 When old friend King Curtis, whom he had used on countless sessions, signed with Capitol in 1964, he provided him with a song he had written which may just be one of the greatest instrumentals of all time, Soul Serenade. Born in Brooklyn, and raised on Long Island, Ellie Greenwich was what we like to call 'a real New Yorker'. After a lone single on RCA flopped in 1958, she decided to concentrate on her songwriting, and began knocking on doors at the Brill Building. Jerry Leiber and Mike Stoller found her singing and playing the piano in their office, and were so impressed that they offered her $50 a week to sign on as a staff writer. Ellie said she needed $100 a week... and they paid it. Initially working with other staff songwriters like Ben Raleigh and Tony Powers, Ellie began making a name for herself with moderate hits like Tell Laura I Love Her and (Today I Met) The Boy I'm Gonna Marry. The boy she was gonna marry was named Jeff Barry, and they moved into an apartment in Lefrak City in Queens. 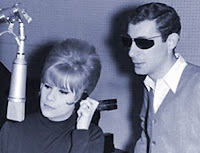 He soon became her songwriting partner as well, and they took the E train together to the new office that Leiber and Stoller had created for them at Trio Music. 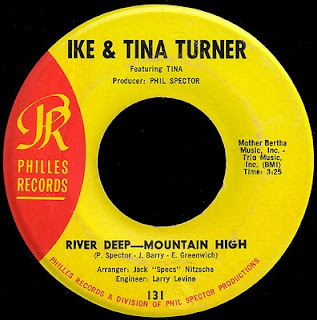 Greenwich hadn't been impressed the first time she had met a 'pimply kid' named Phil Spector at Trio the year before, but there was some kind of chemistry between him and her new husband that seemed to take things to the next level, and they began writing songs together. 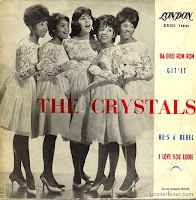 By early 1963, Spector's Brooklyn girl group, The Crystals, had stormed into the top ten with two songs he had written with Greenwich and Barry, Da Doo Ron Ron and Then He Kissed Me, further defining his 'Wall of Sound' in the process. Spector would also record Darlene Love (both under her own name, and as Bob B. Soxx and the Blue Jeans) singing his Greenwich/Barry collaborations, including what may just be the greatest Christmas song of all time, Christmas (Baby Please Come Home). 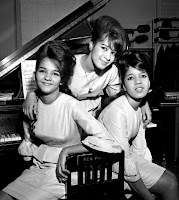 Their greatest success would come, of course, with The Ronettes, who took the elemental Be My Baby to #2 on the Hot 100 in the Summer of 1963. The equally wonderful follow-up, Baby, I Love You, would break into the top 25 early the following year. All of these songs are just such a part of the American musical landscape. They will never be forgotten. Sadly, the soft spoken Estelle Bennett, original Ronette and Ronnie Spector's sister, passed on this year as well, after many years out of the spotlight. 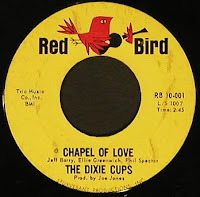 In 1964, when Leiber and Stoller started up their own Red Bird label, they took a song that Greenwich and Barry had written with Phil Spector and had Joe Jones produce it on a group of girls he had brought with him from New Orleans, The Dixie Cups. 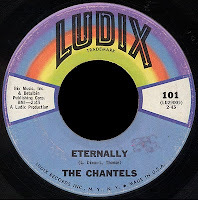 Chapel Of Love, which didn't make much of a stir when the Ronettes cut it the year before, would spend three weeks at #1 that Summer, on its way to becoming the absolute phenomenon it remains to this day. 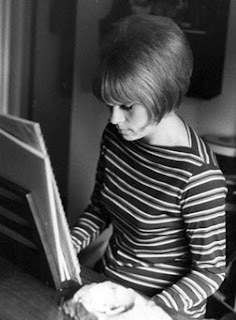 Greenwich and Barry would also write most of the material cut by Red Bird artists like The Jellybeans, The Ad-Libs, and quintessential girl-group The Shangri-Las, including Leader Of The Pack. Ellie Greenwich will indeed be missed. Her unique contributions to this music will live on forever. What wonderful writing and it included a few things I didn't know (Darlene Love aka BB Soxx). I've been a fan of your blog for a long time. Those really were the days and the kinds of songs, artists & writers you can't forget. 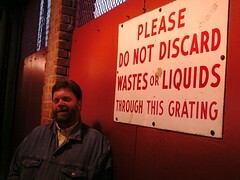 Happy 2010 to you & keep up the excellent work! Wonderful recollection Red. Thanks and Happy New Year. One of he best things I heard this year was Wish I Never Saw The Sunshine (Ellie Greenwich's song sung by The Ronettes) via Derek's Daily. I had never heard that before and was blown away.Truly inspirational. She will be missed.